Since we have been living a Whole 30/Paleo lifestyle for 19 months, I often get asked questions about how we shop and how we eat. On a recent trip to Costco, I took photos of on plan foods to give others an idea of how to shop at Costco when doing a Whole 30. There is also a few paleo items mentioned as well. Disclaimer: Each Costco is different and items vary, so I am sure I don’t have every item pictured and listed, but this should be a good starting place to help as you venture in your clean eating journey. Macadamia Nuts: Nuts are a great source of healthy fats and protein and can be good to keep around when in a pinch. Coscto carries all kinds of on plan nuts. Just remember that peanuts are not part of the “nut family” as they are actually a legume and can cause an inflammatory reaction. I, unfortunately, had to learn out its powerful effects a couple months ago. Organic Meat: Costco carries organic ground beef and different forms of organic chicken at a much better price than the average store. It can be a good option if you are wanting a better quality meat but can’t afford to purchase high quality meat from a local farmer. Sausages: Costco has three awesome kinds of sausage that we have enjoyed purchasing at a good price. The Teton Waters Grass Fed Polish Sausages are super tasty and a recent find at our local Costco. The Aidells sausage is compliant and a great addition to a meal. We often make a stir fry with it with potatoes and green beans, which is a favorite meal in our house. The Organic Sugarhouse Maple Chicken Sausages aren’t Whole 30, but they would be a good addition to breakfast when eating Paleo. We like them with chunked sweet potatoes that are fried in the skillet. Hard Boiled Eggs: I normally prefer pasture raised eggs, but these are great in a pinch. I have enjoyed taking these for a protein snack at births. Kale Salad Mix: This is actually a cesar salad mix, but we just use the kale salad blend and sunflower seeds. It is such a tasty mix. Organic Vegetables: Costco has many organic vegetable options in both the fresh and frozen sections. Costco’s salad mix is $4 for a huge box. It is a great deal when you need a lot of lettuce. We also like to purchase the fresh organic broccoli and use it for snacks and to saute and steam for meals. When we need organic onions and potatoes, we always purchase from Costco. The 15# bag of organic yellow potatoes is around $6-7! The prices are so good! Our Costco has also started to carry recently fresh organic french cut green beans. My husband likes to sautee them in the skillet with olive oil, bacon, and seasonings. Costco also carries organic carrots in a 5# bag. When we need carrots, that is our go to! There are any frozen vegetable options as well. We just generally prefer fresh as much as possible. Organic Fruit: Costco also has several fresh and frozen organic fruit options. One of my boys loves that Costco often has organic raspberries. It is double the standard size for a great price. We also grab bananas while at Costco whenever we go. In the past, we also have purchased organic apples and their organic frozen strawberries. Almond Butter: Costco often carries almond butter, and sometimes they have some other nut butter options. This is great to dip apple slices in to up the protein content, or for a quick spoonful to give some fuel! Apple Cider Vinegar: This is a new item at our local Costco. I find that we use more ACV now than we did prior to our clean eating journey. I am sure you will find yourself using it more as well. Avocado Oil: This is the avocado oil to buy! It is such a good price and works so well in many recipes. This is the oil we use in our homemade mayo recipe. I also like to fry my eggs in this oil. Ghee: I don’t do ghee as I experience a reaction with it, but many people enjoy ghee when starting their clean eating journey as a butter replacement. This is a big container of ghee for a good process. Organic Extra Virgin Olive Oil: We buy 2-3 of these at a time when we go to Costco. This is one of our favorite oils to use in things. I have come to enjoy my baked potatoes sprinkled with EVOO instead of butter. This is priced so well at Costco! Coconut Oil: Coconut oil is priced very well at Costco. This is considered a staple healthy fat in clean eating. This goes excellently in whole 30 bulletproof coffee. some people enjoy frying eggs with this oil or using it as a general substitute. Chicken Broth: Costco carries two different kinds of organic chicken broth. They are sold in a set of 6 and are priced around $11. 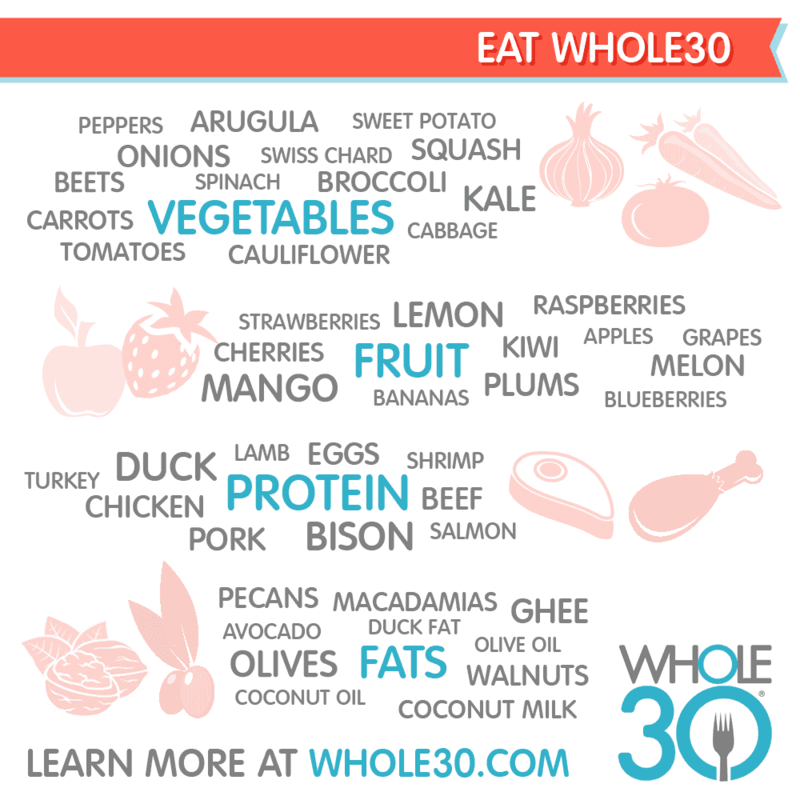 The ingredients are exactly what you expect in chicken broth and are Whole 30 approved! Apple Sauce: Costco generally carries some form of organic apple sauce that contains just apples and no extra sweeteners. My boys love this with a little cinnamon mixed in. Tomato Sauce/Canned Tomatoes: Costco carries organic tomato sauce, tomato paste, and whole tomatoes in their canned food aisle. We use these items regularly for different soups, Whole 30 ketchup, etc. Salsa: This is hands down my favorite salsa. There is no sugar added to this amazing salsa. This massive jar is around $5 at Costco, and a significantly smaller jar is $4 at Sprouts. I love this on my eggs, baked potatoes, and anything else I can think to use this tasty salsa on. Almond Flour: This is the best price on almond flour, which is important during the holidays when it is baking season. I use this a lot on my favorite chicken nugget recipe and when making meatballs. This is definitely a staple to keep in the house. There are also several finds at Costco that are great if you are eating paleo. This are NOT on plan if you are doing a Whole 30. Caveman Bars: I was so excited when I found Costco was carrying these delicious bars. They are great when you want a sweet treat. Maple Syrup: Costco carries a large bottle of organic grade A maple syrup. Now that I can’t find any grade B to purchase, I use this maple syrup and have been well pleased with its flavor and the price! Honey: We generally buy local honey from sources we trust. If we are in a pinch, we do like this raw honey that Costco carries. Coconut Sugar: This is a great brand of coconut sugar that we have used in some of our paleo baking. We also have this in our sugar jar for guests who desire a sweetener for their coffee or tea (we do not keep refined sugar in the house). I hope this post has been a help in navigating Costco when starting a Whole 30 or Paleo lifestyle. Clean eating has been such a huge lifestyle change for our family. It has helped many health issues, given us so much more energy, and my husband and I have lost over 160 pounds so far on this journey. If you have questions, please don’t hesitate to reach out to me!